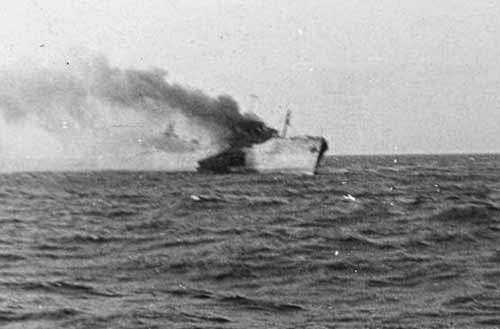 The Norwegian motor tanker Norland under attack by U-108 under Klaus Scholtz on the 20th of May, 1942. Photograph/s taken by U-108 crewmember Willi Wilke. Probably because the ship was afloat less than a year there are no other known images of this vessel. Photo Source: with permission from James “Jim” Payne, “Through their eyes” http://www.throughtheireyes2.co.uk/, from whom a CD of these images is available. Photos also at http://warsailors.com/singleships/norland.html, again with the permission of Mr. Payne (please ask him before using). The Norwegian motor tanker Norland was built by Blythswood Shipbuilding Company Limited of Scotstoun, near Glasgow and launched in September 1941 as yard number 64. Commissioned by the Ministry of War Transport (MoWT) of the UK, her original name was Empire Pict. On the 6thof May 1942 she was transferred to the Norwegian government in exile (the Norwegian Shipping and Trade Mission or Notraship, in London) and given the new name Norland. Built of steel Norland was 8,134 gross registered tons, 463.2 feet long, 61.2 feet wide, and 33 feet deep. Her motor was built by John G. Kincaid and Company Ltd. of Greenock, Scotland and developed 2,450 bhp or 490 net horsepower, which pushed the steel ship at 12 knots. The ship was armed and her four-inch gun and machine guns were manned by four military gunners (Hedve Davis, Harry Meek, Gilbert Burron, and Thomas Sullivan) who shipped with the mostly Norwegian and British officers and crew, who totaled 48. The Norland’s Master on its first and final voyage was Captain Eugen Cristoffersen, a Norwegian. There were several teenagers amongst the large crew, including Mess Room Boy Ronald John Wilson, 15, Engine Boy Thomas Miller, 16, Engine Boy John Hannah, 16, Deck Boy Victor Annesley Haggith, 15, Mess Room Boy William Morris Cohen, 16, and Engine Boy Francis J. Agnew. Aside from Norwegians there were two South Africans and a Swede in the crew. The Chief Officer was Gilbert R. Schmidt, a Dane, the Second Officer was Andreas Bjelde and the Third Officer Knut Kristiansen, 29, both of Norway. The Chief Radio Operator was Daniel McNeil, age 35. The Norland sailed the day following her delivery in Glasgow – on Thursday the 7thof May she left Gourock Scotland for Liverpool. There she joined Convoy ON 93 with 26 merchant ships and 5 escorts. Her destination was Corpus Christi Texas (some sources say Port Arthur or Galveston, Texas), to load aviation fuel destined for the UK. Captain Christoffersen loaded 5,000 tons of water ballast. To do this he and Chief Officer Schmidt filled center tanks 2, 4, 6 and 8 all the way, then also allowed sea water up to sea level in wing tanks 1, 2, 3, 4, 5, 6, 8, and 9 on either side. The ship’s draft afterwards was 19 feet forward and 23 feet aft – a deep enough target for torpedoes. The convoy dispersed on Sunday the 17th of May in position 38.55N, 43.43W, roughly 500 nautical miles southwest of the Azores and 1,140 nautical miles northeast of Bermuda. By the early afternoon of Wednesday the 20thof May 1942 the Norland was 475 nautical miles east-southeast of Bermuda, 925 nautical miles southeast of Nantucket and roughly 1,000 miles east-southeast of Cape Hatteras. At mid day on the 20th the Norland was motoring on a course of 236 degrees southwest True and making 12.5 knots. She was not zig zagging. There were four lookouts: Second Officer Bjelde along with two watch-standers on the bridge and one on the monkey island above the wheelhouse. Swedish Ordinary Seaman Rolf Inage Danielsson, aged 18, was at the wheel. Three of the four gun crew were on duty aft. The weather was described as clear, the seas moderate, with a wind from the southeast at about 10 to 15 knots. Visibility was excellent. Nothing was seen however, and at 12:57 pm there was a “tremendous blow” on the starboard side in the number 8 tank aft, which was just forward of the bridge. From ten feet below the water up to the ship’s side and even to the extent of bulging the deck plates upward, there was a large hole in the ship’s side roughly 50 to 60 feet long. M/T Norland mortally hit – or is it? This image by a crew on U-108 shows the massive hole ripped in the starboard side of the Norland. Despite this gaping wound Captain Christoffersen counterbalanced the weight with water ballast and motored for Bermuda at full speed. This photo would have been taken after the ship was abandoned and the sub’s shells had started fires aboard. http://www.throughtheireyes2.co.uk/, from whom a CD of these images is available. Photos also at http://warsailors.com/singleships/norland.html, again with the permission of Mr. Payne. The Norland motored away but was unable to gain full speed. Whilst scanning the horizon for their foe the gunners sighted a periscope roughly ten minutes later and fried at it. The submarine – U-108 under Korvettenkapitän Klaus Scholtz, submerged right away. But half an hour later the U-boat re-emerged from the depths and began shelling the ship. At that point the Norland’s gunners opened up in earnest, firing 15 to 20 shells. Cohen records that “Ronnie and I helped to carry the shells up to the gun platform. The first shot our crew fired deafened us. We had nothing to cover our ears. Our shots did not reach the enemy, but their shots were landing on us.” What the 16-year old may not have known was that the submarine, with superior artillery, was some six miles away, out of range of the merchant ship’s single gun. 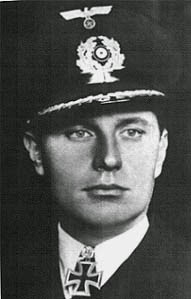 U-108’s commander Korvettenkapitän Klaus Scholtz who sank the Norwegian tanker Norland. By between 2:30 pm and 3:00 pm ship’s time, roughly two hours after the torpedo initiated the attack, the bridge had been hit and the with it likely the aerials. According to Cohen a fire broke out on the bridge – this is substantiated by photographs which U-108 crewman Willi Wilke took, which show smoke spewing from the stricken ship. Captain Christoffersen stopped the engines, threw the confidential codes overboard and ordered the ship abandoned The 48 men succeeded in launching three lifeboats. None of the men had been severely injured by the shells. 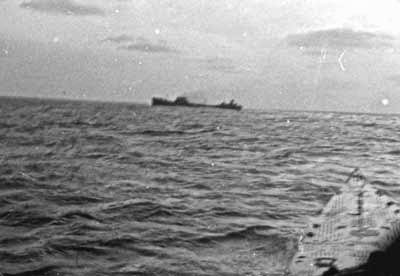 As the Norland slowed down the submarine caught up with the ship and the German’s artillery became more accurate. The boats rowed away from the hulk to avoid being hit by errant shells. Scholtz focused on destroying the Norland, which finally rolled over and sank at about 8:00 pm ship’s time. By then Scholtz’s men had expended all of their 37-milimeter ammunition hitting the wing tanks filled with seawater. Only 14 of the 100 shells from the deck gun were observed to have hit the ship. According to a US Navy post-mortem, “Submarine was last seen circling the ship and firing shells…”. Cohen wrote that “The submarine continued to fire shells at the Norland as we rowed further away from the ship.” Scholtz never bothered to ask the survivors the name of their ship or destination. He would have already obtained it from the radio signals and seeing the ship up-close. 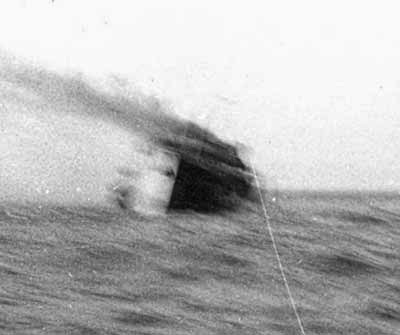 The Norland rolling over and sinking, as seen from the German submarine U-108 on 20 May 1942. · Boat 2: by the Dutch ship Melampus, landed in Halifax Sunday May 31st. Cohen’s narrative of the open boat voyage is worth reading, in part because the boats soon became separated. One of the boats lost contact with the Captain’s and another boat on Saturday the 23rd of May and the other late on Monday the 25th. Cohen states that their shared destination at the outset was Bermuda, the nearest land. On board Christoffersen’s boat was a water storage tank under the seat and in other spaces were Pemmican (a meat paste), chocolate, and hard biscuits. Among the supplies found were a battery-operated radio (which apparently did not function well), flares, some blankets, a compass, and a First Aid kit. The weather was mostly clear except for a terrible storm which lasted a whole night, most of their energy was focused on scanning the horizon for rescue. While some of the men swam, one of them unwisely tangled with a potentially fatal Portuguese Man-O-War jelly fish, and suffered from the toxins thereafter. Apparently the men did not fish, however they collected moisture on a tarpaulin, and were very thirsty. They did manage to capture and eat flying fish which landed on the sail and in the boat. As an indication of just how active the waters off Bermuda were to Axis submarines in the winter and spring of 1942, on the 10th day in the boat (about Saturday 30 May), the Norland men came across an abandoned life raft. They scoured it for provisions and found none – only Captain Christoffersen noted which ship it had come from. Over time they became sunburnt and their legs ached, despite the refreshing dips in the water (non-swimmers tied a rope around their waist). Each day one of the officers or crew was convinced they had seen a rescue craft. One afternoon they were surrounded by a pod of whales which swam harmlessly on. Whilst the boat, which had by then over-shot Bermuda and was making for the American mainland, was making a good clip under sail they spotted another life raft. This was from an American ship and provided the men with “…a small container of water and a container with several little bottles of vitamin tablets. This was a gift from heaven, as our water supply was very low.” On Friday the 5thof June they were in the Gulf Stream and were able to digest seaweed and the little crabs which drifted with it. The following day, Saturday the 6th of June, another false alarm. What the men thought was a rescue ship was in fact an Allied vessel sunk by enemy submarines in such shallow water that its mast and funnel were above water. The captain pointed out that it must mean land was not far away. Because of the radio transmissions and the captain’s encouragement, the men believed that rescue was imminent. However for the captain’s boat it was not to be the case, and they would ultimately sail, drift and row over 1,000 nautical miles nearly three weeks (18 days) before they were spotted by aircraft a mere 25 miles, bearing 155 degrees from Cape Lookout, North Carolina on Sunday the 7thof June. Cohen records that “At noon on the 18th day, an aeroplane was spotted some distance from our position. A flare was fired and we saw the plane turn and come in our direction. He flew in low and circled round us several times. We knew that he would signal his sighting and our position to his base. An hour or so later, at 3:55 pm local time, a U.S. Navy P.T. boat [actually CGC 453] was sighted. It pulled alongside and we all clambered aboard. With the lifeboat towed astern [actually by CGC 473], the rescue boat headed towards their base ashore. This was Morehead City, North Carolina, where the men landed at 5:45 pm. Their lifeboat followed, arriving at 6:30 pm, sparing the men a 19thday on the open water. Cohen records that “The sailors offered us coffee or buttermilk. I only sipped the milk and the taste was awful… I was offered an orange, and this I gulped down without any bother….”. US Coast Guard 83-foot cutter 453 which rescued men from the Norland of the Carolina coast. Those rescued on the captain’s boat included Advisory Engineer Sidney Clifford Paige, Welsh, aged 44, Engine Boys Miller and Hannah (both 16), Ronald John Wilson (“Ronnie”), Scotch Mess Boy, aged 15, and Fireman Arthur Hardy Ballard, of South Africa, age 23. The US Navy sailors retrieved two sweaters, six blankets, 12 lifejackets, a flare, four gallons of oil, the First Aid kit, a “distress outfit,”, a radio transmitter and receiver, and three lights from the boat. The 15 men were very well looked after by US Navy doctors. The American Red Cross fitted them with a complete set of civilian clothes. Then after about three days of recuperation a representative of Nortraship arrived and provided transportation by bus, ferry and rail to New York City. During the trip strangers offered the men an boys, who didn’t yet have money, food, drink and conversation. They were put up in a hotel on Atlantic Avenue in Brooklyn, New York. 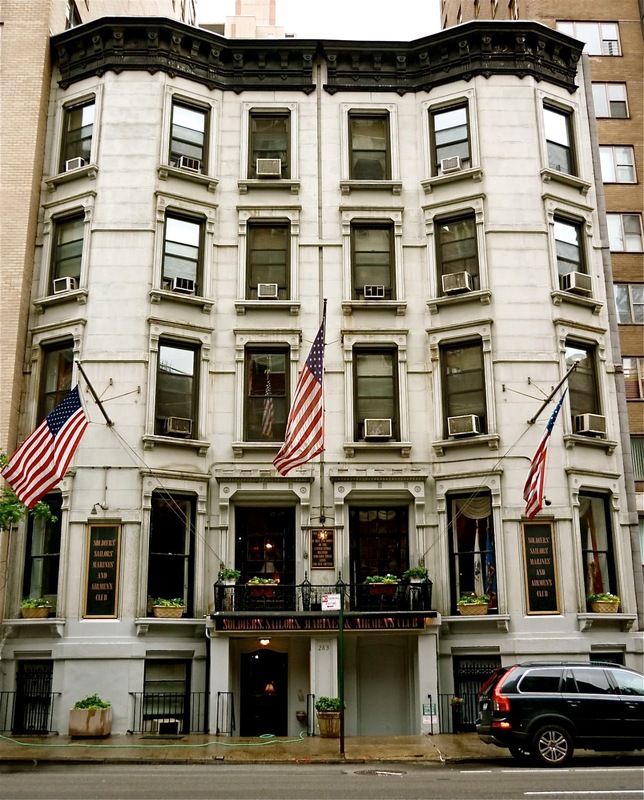 The Soldiers’, Sailors’ Marines’ Coast Guard & Airmen’s Club, since 1919, on Lexington Avenue New York, where young William Cohen and Ronnie Wilson stayed in June, 1942. During their say young Cohen and Ronnie Wilson befriended Harry Garber, whose father outfitted them with merchant mariner uniforms. Ultimately they were paid US$150.00, most of which was rationed out to them by Mr. Garber so they didn’t spend it all at once. They moved to the Soldiers and Sailors Club on Lexington Avenue and went sightseeing, ultimately catching another ship back to the UK. Fortunately they met some of their shipmates in Brooklyn and were able to hear of their trials which enabled them, too to reach shore safely. The Dutch ship Melampus, built 1924 and lost in 1950. She rescued survivors of the Norland. Photo Source: http://www.merchantnavyofficers.com/nsmo3.html about joint British and Dutch exercises. Boat 2 under the command of First (Chief) Officer Schmidt was rescued by the Dutch ship Malampus. This Dutch ship was built in 1924 by Palmer and owned by the Dutch steam ship firm “Oceaan” of Prins Hendrikkade 159-160 Amsterdam. Her particulars were 5,280 gross tons, 6,250 deadweight cargo carrying tons, 137 meters overall, 16.69 meters wide and 9.17 meters deep. Her two steam turbines developed 4,350 bhp and propelled the ship at 13 knots. Little is known about the exact location and date that the men were rescued, however it is known that all 19 men survived and were landed in Halifax on Sunday the 31st of May, 11 days after the attack. Most likely the survivors caught passage on some of the many Allied ships leaving Halifax for the UK in convoys that spring. Of note is that there were only seven ships in the “Oceaan” fleet, and one of the other vessels, the Polyphemus, was to play an instrumental role in the rescue of the 14 remaining men in Boat 3 under Second Officer Bjelde. The Dutch Motor Ship M/S Polyphemus which rescued a lifeboat with 14 members of the Norland’s officers and crew. It was itself sunk the following day (27 May) further scattering the Norland boys and men. Boat 3 under Second Officer (Mate) Bjelde was rescued on Monday the 25th of May 585 nautical miles southeast of Nantucket but only 25 nautical miles northeast of Bermuda, a testament to the strong navigational skills of Bjelde, as they boats originally had set out for Bermuda five days before. The rescue vessel was the Polyphemus of the same “Oceaan” ownership in the Netherlands as the Melampus, which had rescued Boat 2. The Polyhemus was a diesel-motor ship of 6,269 gross tons built by Scott’s Shipbuilding and Engineering Company Limited in Greenock, Scotland in 1930. She could carry 7,950 tons of cargo as well as passengers, and appears from the photograph (above) to have been fitted with at least five life boats. The Polyphemus’ dimensions were 430.5 feet long, 56.4 feet wide, 27.1 feet deep, and she could motor at 14.5 knots, propelled by two 687 net-horsepower engines turning double propellers. She was a large, fast ship manned by 66 personnel led by Captain C. Koningstein. The ship was on its way from Sydney Australia via Panama to Halifax and Liverpool carrying wheat and wool. The Polyphemus was able to make good 335 nautical miles northwards during the next 30 or so hours before it was itself sunk starting at 6:18 pm on Tuesday 26thMay (six days after the Norland’s sinking) in position 38° 12’N, 63° 22’W, 350 nautical miles southeast of Nantucket. When two torpedoes from U-578 under Ernst-August Rehwinkel tore the stern accommodation off the Polyphemus 15 Chinese seamen were killed. 6. the USCGC General Greene (WPC 140) (to Nantucket). It is believed that naming officers of the Polyphemus will only confuse the narration of the rescue of the 14 Norland men (besides which the loss of the Polyphemus is covered in this book and blog). Therefore the boats from the Polyphemus are numbered according to how many Norland men were in them. Because the 19 sailors rescued by the Melampus are not named, it is not possible to know the exact names of the 14 Norland men rescued by the Polyhemus. The division of which Norland men were in which Polyphemus boat was diligently calculated by Rainer Kolbicz of Uboat.net and kindly shared by Dame Siri Holm Lawson on warsailors.com. · Boat 1: 2 Norland men – rescued by the Hunting-Sanford, landed New Bedford. · Boat 2: 3 Norland men – rescued by USCGC General Greene, landed Nantucket. 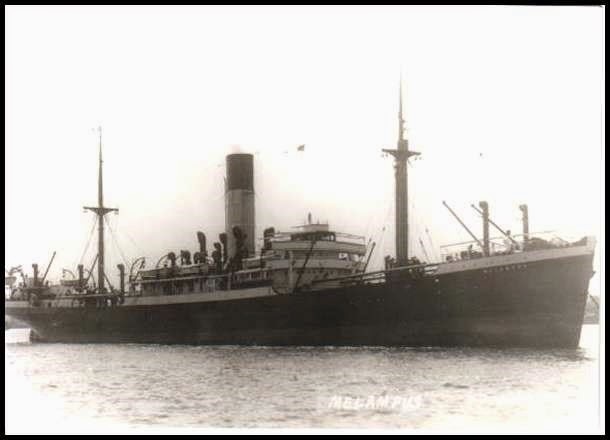 · Boat 3: 2 Norland men – rescued by Mirandella, landed New York. · Boat 4: 4 Norland men – rescued by Maria Amelia, landed New York. · Boat 5: 3 Norland men, including Second Officer Bjelde navigating (total 14 men) – rescued by Torvanger, Alpha and Estelle, landed New Bedford. Boat 1: This motor life boat was led by Captain Koningstein and held two Norland men. It was found by the US-flagged fishing boat Hunting-Sanford roughly 50 nautical miles northeast of Nantucket Lightship at 3:00 am on Monday June 1st. They had sailed 315 nautical miles since the loss of the Polyphemus. These men were landed in New Bedford, Massachusetts the following day, Tuesday the 2ndof June 1942, leaving 12 Norland men unaccounted for. Boat 2: This boat was under the command of the Polyphemus’ Second Officer, L. J. Burger. On board were three Norland survivors, all from Scotland: two Ordinary Seamen both with the same surname: Angus J. Campbell from Inverness, and Donald Campbell from Stornoway, as well as Able Seaman William P. McAllan from Peterculter. All of them were single and were (presumably) young, as their next of kin are listed as parents. This lifeboat had the fortune/misfortune of being discovered by another German U-boat, U-566 under Kapitänleutnant Dietrich Borchert. The encounter occurred at 8:00 pm on Tuesday May 30th, four days after the Polyphemus had been sunk and ten days after the Norland was lost. The encounter happened only 13 nautical miles southwest of where the Polyphemus went down. Borchert gave the men water and a course to the nearest land, which was Nantucket, 350 nautical miles to the northwest. As another illustration of how well covered the waters were by Axis submarines, the following day another U-boat came across the same lifeboat. This boat was U-593 under Kapitänleutnant Gerd Kelbling. The position was 55 nautical miles west of the Polyphemus and 315 nautical miles southeast of Nantucket. Perhaps because they were so far from land Kelbling provided the men with bread from the U-boat’s bakery as well as a bottle of rum (within a few hours Kelbling would be chasing the Portuguese neutral Maria Amelia, which held four other survivors of the Norland and Polyphemus sinkings, who had been picked up the same day). The US Coast Guard Cutter General Greene (WPC 140), which served from 1927 to 1968. She rescued three young Norland survivors along with others from the Polyphemus off Nantucket on Friday the 5th of June 1942. The boat made it 325 nautical miles northwest of the Polyphemus sinking and to within 35 nautical miles of Siasconset village, Nantucket when they were discovered by the US Coast Guard Cutter General Greene (WPC 140) in the afternoon on Friday the 5th of June 1942. They were landed in the town of Nantucket later the same day. The General Greene was a 125-foot patrol boat built by the American Brown Boveri Electric Corporation of Camden, New Jersey in 1927. She was 23.5 feet wide and 7.5 feet deep with twin engines giving her 13 knots. The week before, on Wednesday the 25thof May, the General Greene had attacked an unknown U-boat whilst returning to Newport Rhode Island with survivors of the British ship Peisander in thick fog. “The three survivors of the S/S NORLAND were all ordinary seamen, and knew very little about the particulars of the ship. It was their first trip aboard her, and had never sailed under her Master or with any of her crew before. ….Men were a little confused as to facts, often mixing the details of the torpedoing of the S/S NORLAND and the S/S POLYPHEMUS.” In today’s jargon this might be attributable to post-traumatic stress disorder, or PTSD. They were after all teenagers who had survived two attacks by enemy U-boats as well as two lifeboat voyages and rescues, the outcomes of which are often unfavorable and result in anonymous deaths. Boat 3: This boat had three Norland men in it, including possibly the Norland’s Chief Engineer Officer Leif Oftedahl. On the morning of Wednesday the 3rdof June 1942 the men had made it to a position 250 nautical miles east-southeast of Nantucket and 115 nautical miles northwest of where the Polyphemus sank. The motor ship Mirandella from Lisbon, Portugal. She rescued a lifeboat from the Polyphemus which was carrying two Norland survivors, and took them to New York between 3 and 5 June 1942. They were discovered by the Portuguese ship Mirandella, which was en route to New York. 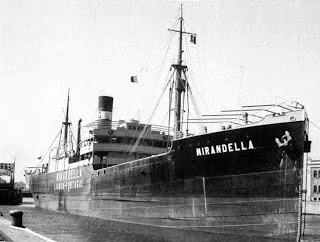 The Mirandella was formerly named Fernao Veloso (to 1925) and Khalif (to 1916). She was built in 1906 by Bremer Vulkan of Vegesack, Germany. The ship’s gross tonnage was 5,179, she was 409.3 feet long, 52.9 feet wide, and 26 feet deep and capable of 14 knots. The ship’s owners were the same as those of the Maria Amelia, namely the Societa Geral de Comercio, Industria e Transportes Limitada of Lisbon. The Mirandella picked up a total of 17 men from the lifeboat – 15 from the Polyphemus and two from the Norland. They were all landed in New York Harbor two days later, on Friday the 5th of June. “Helper” James Glover from the Norland. Photo Source: http://warsailors.com/singleships/norland.html, c/o his daughters. On the same day (May 29th), at 7:30 am local time the Portuguese ship Maria Amelia under the command of Captain de Mirande picked up the four Norland men and Polyphemus survivors. Five hours later the Maria Amelia was chased by U-593 starting from a position 44 nautical miles west of where the Polyphemus has been sunk and 315 nautical miles southeast of Nantucket. Eventually U-593’s commander, Kapitänleutnant Gerd Kelbling saw that the ship was a clearly marked neutral and broke off the attack. The submarine approached the ship so closely that the men on the neutral vessel could clearly see the emblem of “Ferdinand the Bull” on the conning tower. 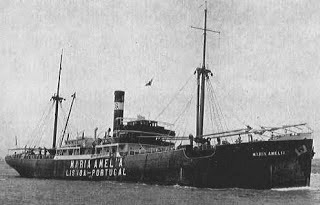 The neutral Portuguese steam ship Maria Amelia which rescued Boat 4 of the Norland survivors on 29 May 1942. She then evaded attack by U-593 under Gerd Kelbling for three hours. The Maria Amelia (ex-Gaia, ex-Girgenti) was built by Neptun Werft AG of Germany in 1913. Her owners in 1942 were the Societa Geral de Comercio, Industria e Transportes Limitada of Lisbon. The ship was 1,766 gross tons, 302.1 feet long, 41.1 feet wide, and 18.1 feet deep. She was capable of 10 knots’ speed when built, probably less 29 years later. Captain di Mirande was bringing his vessel to New York, which is where he deposited the four Norland survivors. These were more than likely the men who encountered young William Cohen and Ronnie Wilson at the Atlantic Avenue hotel in Brooklyn, New York when the latter group arrived from North Carolina the second week of June, 1942. The men from the Maria Amelia were able to obtain passage to the UK from ships leaving New York. A photo provided by Norland survivor James Glover’s daughters. 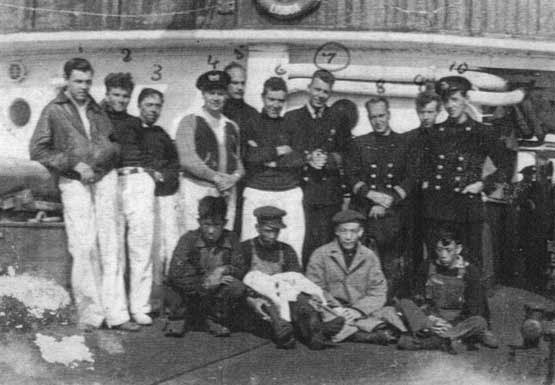 It shows the three Norland survivors along with Polyphemus survivors, including Chinese sailors, having arrived in New York aboard the Portuguese ship Maria Amelia on or about the 3rd of June, 1942. The first three men (boys) are from the Norland: from the left are Frank McMillan, Helper, of Glasgow (#1), Victor Annesley Haggith, Deck Boy, aged 15, of Wembley (#2), Kåre Bergene, Cook (#3). Also #9 is said to have been M. L. Jodia, however that name does not appear in the Norland crew list. Since more than likely James Glover of the Norland is the one who took the photograph, and there were only four Norland men in the boat, the #9 individual was not a Norland crewmember. Boat 5: This boat was in charge of the Chief Engineer of the Polyphemus and the Second Officer of the Norland (Bjelde), with a total of three Norland men. They were rescued 250 miles northwest of where the Polyphemus sank and 130 nautical miles east of Nantucket in the evening of Tuesday June 2nd. 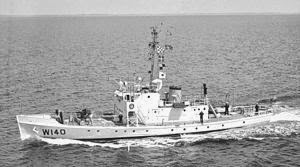 The rescue ship, for a brief time only, was the Norwegian ship Torvanger. She was a 6,568-ton steam ship built in 1920 by William Doxford & Sons, Limited of Sunderland, England. The ship was 420 feet long, 54 feet wide and 34.4 feet deep. Her owners were the Westfal-Larsen Company of Bergen, Norway and her skipper Captain Leif Danielsen. 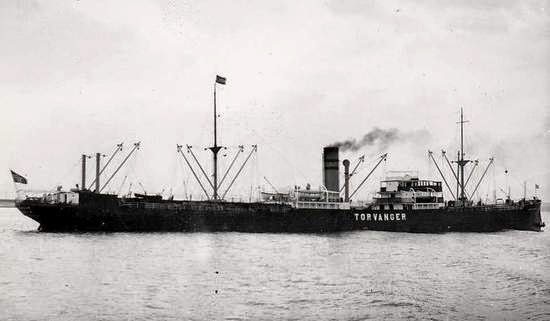 The Norwegian steam ship Torvanger which rescued Boat 5 from the Polyphemus with three Norland survivors in it, and transferred them to the fishing vessel Alpha and Estelle that day. Captain Danielsen did not keep his charges for long. She was en route from New York to Halifax then Cape Town and Alexandria with a cargo of 8,000 tons of war material including tanks, beer, gliders in crates on deck, and ammunition. Rather than take the Norland and Polyphemus men to Halifax Danielsen opted to transfer them to a local fishing vessel, the Alpha and Estelle when about 60 nautical miles of Pollock Rip, which separates Nantucket from Cape Cod. as evidence of the many mariners who never made it. Korvettenkapitän (later Fregattenkapitän) Klaus Scholtz, aged 33, from Magdeburg, Germany, who had earned the Knights Cross just over earlier in the year. U-108 was part of the second wave sent to maintain Operation Drumbeat, along with U-103, U-106 and U-107. 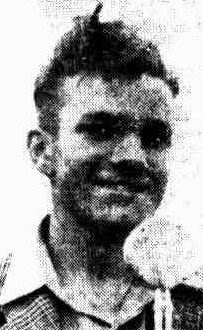 A member of the 1927 Naval Academy Crew, Scholtz entered the U-boat arm in 1939. His Knights Cross was supplemented with the Oak Leaves in December 1941. The patrol began on the 30th of March 1942 and ended also in Lorient on the 1st of June. Thirty four years of age at the time, Scholtz sailed in the Second Flotilla to and from Lorient France. During this patrol he was holder of the Knights Cross in recognition of his career total of 24 ships for 111,546 GRT. Overall Scholtz underwent eight patrols, all in U-108, between February 1941 and July 1942, for a total of 361 patrol days. Over his career he sank 25 ships worth 128,190 tons. One of them, in April 1941 was the British Armed Merchant Cruiser (AMC) Rajputana, in the Straits of Denmark. In September 1944 Scholtz was captured whilst commander of the 12th Flotilla in Bordeaux and held until April 1946. After the war he joined the Bundesmarine and was base commander in several locations, including Kiel and Wilhelmshaven. By 1966 he was Kapitän zur See and he passed away at age 79 in 1987. The Torvanger arrived in Halifax to top up cargo then sailed on the 14thof June 1942. She was sunk by U-84 under Horst Uphoff roughly over a week later, on the 23rd of June 1942 less than 500 nautical miles west of the Azores. Four men out of her complement of 37 perished. Captain Danielsen survived. The Maria Amelia survived the war and lasted until 1949. The Mirandella also survived the conflict and lasted until 1955, when it was sold for scrap in La Spezia, Italy. The General Greene was decommissioned in 1968 and sold in 1976. In 1945 an article appeared in the Newport Rhode Island papers claiming that four survivors of the Norland were brought to Newport to be cared for by the American Red Cross. This must have been some of the men landed in New Bedford, Massachusetts, a short drive away. The article, which could only “name names” of ships after censorship had been lifted, was entitled “Red Cross Here Aided 130 Sub Survivors Par Disaster Relief Committee Played Revealed. Outfitted Crews of Six Ships Torpedoed Off this Area by U-boats in 1942.” The number – four survivors – does not accord with the five landed in New Bedford from two different lifeboats and the three landed in Nantucket. Perhaps from the total of eight men landed east of Newport only half of them required care by the Red Cross. Holm Lawson, Dame Siri, without whom this essay would be sorely lacking. She and Rainer Kolbicz of Uboat.net deserve the credit for piecing together the very complex series of vessels and U-boats which helped rescued the Norland’s men. See www.warsailors.com, specifically http://warsailors.com/singleships/norland.html. Kolbicz, Rainer and Helgason, Gudmundur, Uboat.net for much of the information, including photos of U-boat Commander and its victim, http://www.uboat.net/men – in particular Mr. Kolbicz for unravelling the very complex fact-patterns of the various craft that rescued the Norland’s men.